Asbestos is and remains a danger for do-it-yourselfers: only an analysis of suspicious building materials and building substances provides certainty. 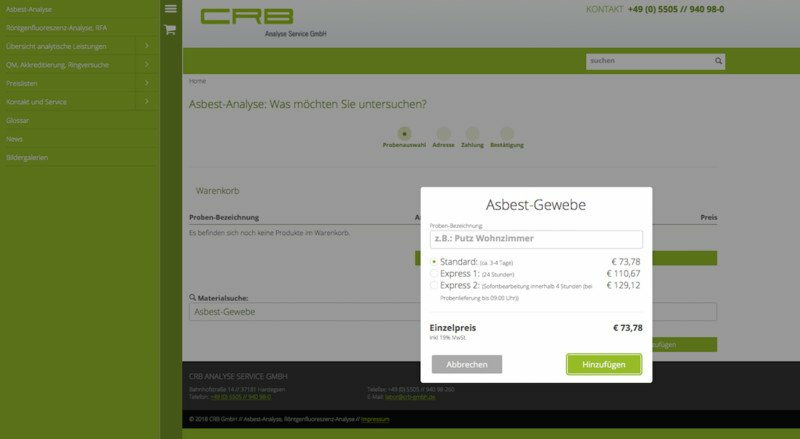 To make it even easier for our customers to have their samples tested for asbestos, we have set up a new customer shop together with the digital commerce agency Blackbit. 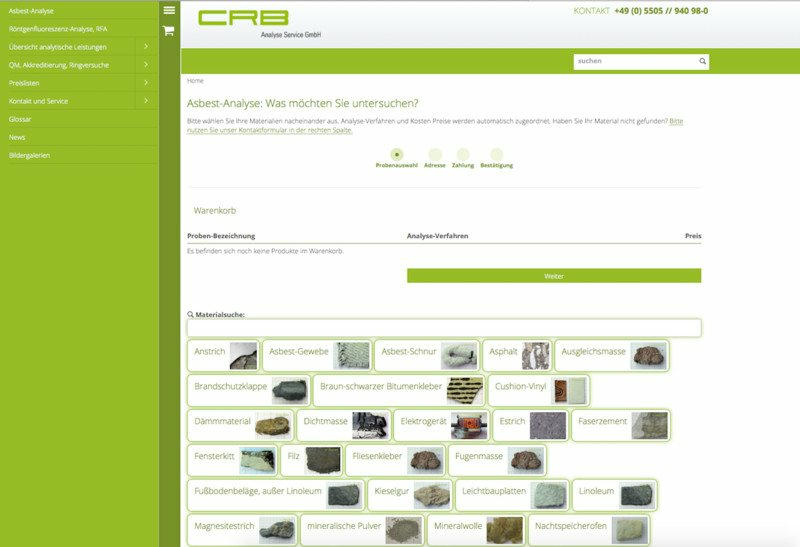 In five steps from fear to certainty: our new customer shop with pictures and a powerful search function helps you to find the right sample material between linoleum and lightweight panels. 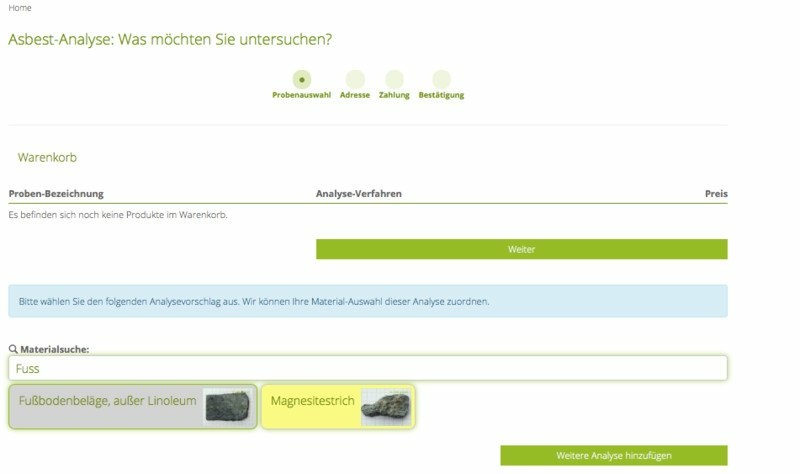 The correct analysis method is automatically assigned to the corresponding sample - so you don't have to be an expert to order an asbestos analysis from us. 1. Call up the customer shop at www.crb-gmbh.com/en/checkout. 2. What would you like to examine? Simply enter the name of the suspicious material (even if you do not know the exact technical name, our search function recognizes various synonyms) or select it from the thumbnails. 3. Now enter a unique sample name (e.g. plaster living room) and select the desired processing to add the sample to your shopping basket. 4. Please enter your address data and select a payment method (credit card, paydirekt, prepay/bank transfer). 5. you will receive the confirmation of your order and a pre-printed label by e-mail to clearly identify the samples. Simply print it out, attach it to the sample and send it safely packed to CRB. The result of your sample will be sent to you by e-mail within three to four days after receipt.